Helping people speak Creole, connect, and do more. This Christmas season we gathered together with some of our Haitian friends now living in the states; their collective recollections gave us a glimpse of what Christmas looked like for them as children growing up in Haiti. It was exciting to watch as they became increasingly animated, sharing stories of the Reveyons that lasted all night, games of wosle that turned into high stakes tournaments between the older kids while their younger siblings watched on, the pi detwal that lit up their back yards, fanal that lit up the windows, and finally, the thing that most persisted in our group of friends was the talk over the Kremas that they would drink and the plans to make a large batch to share with friends and family this holiday season. Through their discussion I realized how many different ways there are to celebrate Christmas, and I got the idea that their conversation only skimmed the surface of the many traditions that enveloped their families’ time together over the Christmas season. While the nostalgia for the holidays is still lingering among us, I wanted to bring a little bit of their experience to you, in the hopes that it might add yet another layer to our evolving understanding of life in Haiti. In the order that they appear above, let me explain a little bit about each of the traditions that I learned about from our friends, understanding that it is far from an exhaustive list and that many of these traditions vary from place to place and family to family! Reveyons: Usually following a midnight mass on December 24th, families and friends gather together to celebrate and share. These all night parties are known as Reveyon. Wosle: This is a game that the children play while the adults enjoy the evening, it’s similar to the game of jacks that many of our readers might be familiar with and is not limited to only the Christmas season, but played year round. There’s a great description of the game and how it’s played here. 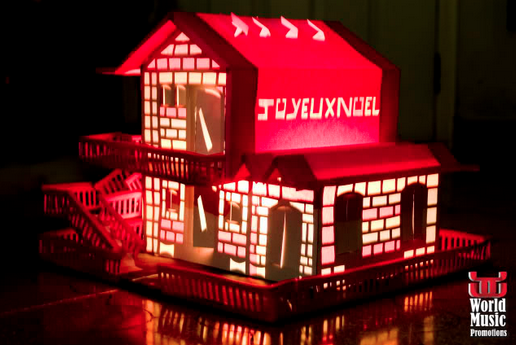 Fanal: The word fanal comes from the French word for lantern, these intricately designed paper boxes are cut and decorated with tissue paper before being placed on porches and in windows to light the way on dark evenings and to bring joy to onlookers passing by. Kremas: This rich drink is like a Haitian version of eggnog. Krema is made with Haitian rum, coconut milk, ground nutmeg, evaporated and condensed milk, and vanilla extract. No wonder our friends were going on and on about it! As they delved deeper into their memories of years past and celebrated the traditions that persisted in their families to this day, the overwhelming similarity that emerged from these dramatically different traditions was the focus on family and the emphasis placed on time spent together, because it’s the people around us that ultimately bring value to the traditions we celebrate. Jwaye Nowèl tout zanmi nou yo! As we get ready to spend the Christmas holiday in Haiti, we thought it’d be good to do a little research to see what traditions we might encounter. The idea of the celebration (reveyon) starting after midnight mass has me a little anxious, I must admit! 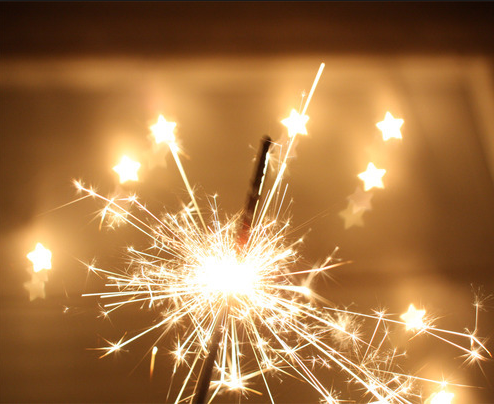 Check out these other interesting traditions, as described last year on the HaitiHub blog. Thank you for sharing such interesting and enlightening traditions. Indeed, we come to connect with people more closely when we share in and take delight in the traditions they share with us — I hope one day to be in Haiti at Christmas, and see these things firsthand…and to connect them with the people who will make it meaningful and memorable.